CODEX & The inevitable demise of The EU! & the undeniable hypocrisy of Farage & his cult and claque that render UKIP unfit for purpose to lead in the aim to Leave-The-EU! Befouled and corrupted UKIP has no role to play in its present form in British politics their USP was a promise to be different and clearly they fell short of this and have become nothing more than the grubbiest of self interested politicians. That the media fail to do their duty and expose the facts about UKIP is largely due to the dishonesty and corruption of the litigious nature of the party, I believe, it is easier for media lawyers to prevent stories exposing the facts than defend against dishonest claims and denials by UKIP! Increasingly it is becoming obvious that the EUropean Union scam is coming unravelled with the EUro clearly over valued and only sustainable with continued subsidies and the near certainty that Greece, Spain, Portugal and probably Eire & Italy will have to drop out or face effective bankruptcy leading to reaching a Independent Voluntary Agreements that Gertmany will run and manage their economies and dictate austerity and policy through what ever dishonest front is decided on to hide the fact that they are no longer Countries but just puppet adfministrations, even more than Britain which was clearly asset6 stripped by the 13 unlucky years of management by the economically illiterate Gordon Brown & the posing of Alistair Darling. 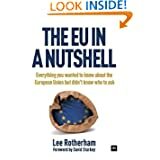 It has been clear that the EU lacks clout on the world stage, hence Britain would be far Better Off Out of the EU negotiating trade direct with our markets and working within the framework of the more significant WTO and CODEX itself, to comply with the global economic rules directs as they come into force – the rules that the failed EU scam are forced to follow themselves! 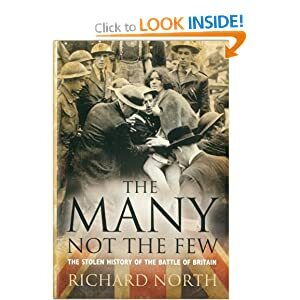 The following three articles by Dr. Richard North put more flesh on the bones of this scenario and put the place of the EU and the foolish posturings of David Cameron, Ed Milliband, Nick Clegg and the amateur hour populist antics of the Farage cult in perspective. David Cameron says our place is at the “top table” in order to pursue our national interest, and that includes the EU. “The fact is”, he adds, “that it is international institutions, and in them, that many of the rules of the game are set on trade, tax and regulation”. “When a country like ours is affected profoundly by those rules, I want us to have a say on them”. 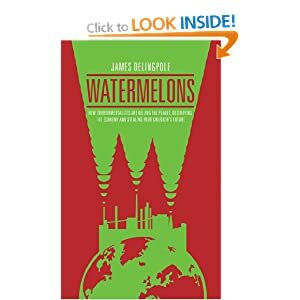 But, says Bjorn Knudtsen, Chairman of the Fish and Fisheries Product Committee, when it comes to international rules on food, to ensure public safety and fair trading, the UN body Codex Alimentarius, is the “top table”. As we described in an earlier piece, Codex is one of “three sisters” of international standard setting organisations recognised by the World Trade Organisation (WTO) “Sanitary and Phytosanitary (SPS) Agreement”, which together formulate global rules to protect human, animal and plant life or health. 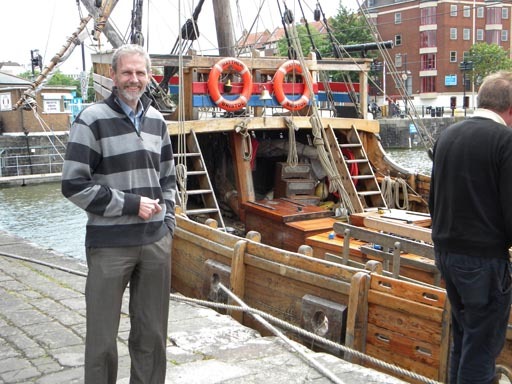 Stopping off on Bristol to hear his wife deliver a conference on public health, Mr Knudtsen was on his way from Norway to Rome, to attend the annual Codex executive committee (pictured above, centre). As one of the regional heads of his country’s Food Safety Agency, and the a Codex committee chairman, he agreed to talk to us about the vital role of Codex, its relationship with the EU and with Norway and the EEA, and its task in making the rules that govern international trade. What makes this particularly relevant is the ongoing controversy about the so-called fax law and Mr Cameron’s claim that – like Norway – we would be governed “by fax” from Brussels if the UK quits the EU. As Mr Knudtsen pointed out, though, Norway – at least in his area of speciality – is not governed in this way, even though, paradoxically, most of the law covering fish and fisheries products does come from Brussels. 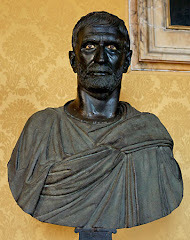 The paradox is explained by the way Codex works. Mr Knudtsen’s committee is 170-strong, with 50-60 countries most interested in seafood. The committee was established in 1963 and, with the active participation of the members, formulate the rules which the WTO accepts as the basis for trade. Increasingly, member states and trading blocs – such as the EU – are adopting Codex standards as the basis for their own regulations, and are gradually undergoing a process where existing regulations are being changed so that they match Codex standards. Thus, we have a process where standards are generated by member states working with this international body, for adoption by Codex. 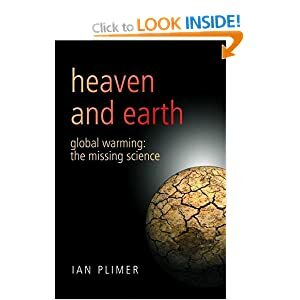 Often the EU (as indeed are other trading blocs) promotes their regulations, trying to get them accepted as the Codex standard, but the dominant driver is the science. This determines the standards necessary to protect public health and ensure fair trading practice. Says Mr Knudtsen, a draft regulation may take 6-8 years to go through the system until it is finally approved, usually by consensus. Although there is a complex voting system, votes are usually avoided as being divisive. If there is not complete agreement, the preference is to rework the draft until all parties do agree. And, at any stage, a member state can veto a provision, through an informal process or, formally, by calling for a vote. When it comes to Norway, trade in fish and fisheries products is a vital national interest, with 95 percent of products, worth €3 billion annually, being exported. And as an exporting country, says Knudtsen – like other major exporters – strict regulatory standards are a necessary and acceptable price to pay for what he terms “certainty”. Companies preparing a product for export will not know from the outset the destination of any particular batch. Therefore, they want to be able to produce to a generic standard which will be accepted in any and every country to which the product might be despatched. They don’t want to be producing different batches to different standards. But when it comes to framing those rules, Norway is fully involved right from the outset. It even pays approximately £250,000 a year to host the Codex fisheries committee. That gives Norway no specific advantage, Knudtsen says, but he agrees that it gives them what might be called “situational awareness” – an early and complete insight into what is going through the system. Once the Codex standard is agreed, a hierarchy is created. Knudtsen openly admits – without the least hesitation – that Codex, and international bodies like it, form part of world government. 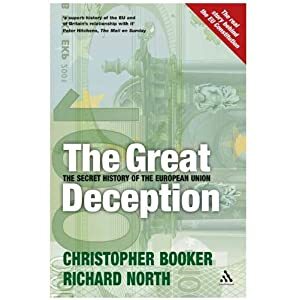 Global trade requires global rules, and they produce them, handing them back to member nations and trading blocks such the EU and NAFTA, as well as the Asian blocs. With the EU though, it also deals with the EEA, of which Norway is a member. 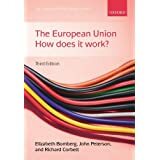 We thus have a situation where the EU takes the Codex standards and in turn uses them as the basis of its own rules for its members and the additional EEA members. At no stage, therefore, can it be said that Norway is simply the passive receiver of rules from Brussels. His country, says Knudtsen, has been involved at every step of the process from inception to the final formulation of the rules. Brussels then adds the EEA “packaging”, before passing it on, but the substantive issues have been agreed long before the standard formally reaches the EU. In no way, and at no time, does Norway ever feel that the rules have been imposed on it. In Part II, we will continue this report, and look especially at the relationship between the UK and Codex. Be in no doubt that I seek to Leave-The-EU and therefore you may well feel my personal Patriotism may influence my various blogs – but when we see scoundrels, charming and affable as they may be to gain the populist vote of the ill informed , like Nigel Farage and his cult, who make grandiose speeches and childish insults to gain personal publicity one realises that neither he nor any aspect of The EU represent the values and interests or the British concepts of ethics, morality and the codex of British law and justice, which were the greatest gift Britain gave, spread and imposed around the world in the last 500 years. Clearly we should Leave-The-EU and distance ourselves from the likes of both the EU and the spiv and scam style of its leading lights like Farage. Many will be aware that Nigel Farage spoke out boldly promising his party would NOT practice nepotism and then he was exposed employing his wife for £30K a year when even his constituency office was unaware that he she did any ‘work’ for UKIP! We noted he was not alone with Godfrey Bloom renting familky premises on the public purse and employing members of his staff. Graham Booth seeking to place a relation in position to take over his post as MEP when he retired and need I continue? Then we note the outrage of Farage in denouncing EU incomes and income tax and the use of tax havens when he himself has proven overseas bank accounts which my blogs have identified years ago, in both Belgium and The Isle of Man – a trail of hypocricy recently picked up on by the media – though very late in the day and hardly ‘news‘. See: CLICK HERE for further details and there are many other examples of dishonesty, corruption and hypocrixy in Farage’s cult and its claque if you search my blogs or that of ‘Junius’. 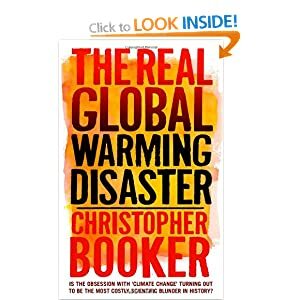 Not one single solitary consequential fact published on any of my political blogs has EVER been shown to be materially inaccurate or misleading – not a single challenge of a substantial fact published has EVER been challenged or shown to be wrong. A measure of just how cowardly and vile UKIP under its present leadership is and how clearly they are totally unfit for any position of authority are the lies and efforts to silence and discredit me to try to suppress the facts and the truth I publish about the leadership of UKIP and its parasites – published in an effort to clean up the party and make it fit for purpose as a party individuals of standing, ethics and morality might wish to endorse rather than a money spinner for a clique of self serving scoundrels! UKIP Finances: Hypocrisy Called to Account! Racism Clearly Rife In UKIP! The UKIP Circus Rolls On! Old News BUT A Fresh Media Story on Farage & Tax! UKIP & The Art of Rigging Outcomes – A La EU! One of Nigel Farage’s Dodgey off shore Tax Haven Account in the Main Stream Media, though featured on this blog some time ago! good to see the highly funded media playing catch-up as this was published on this blog long ago! 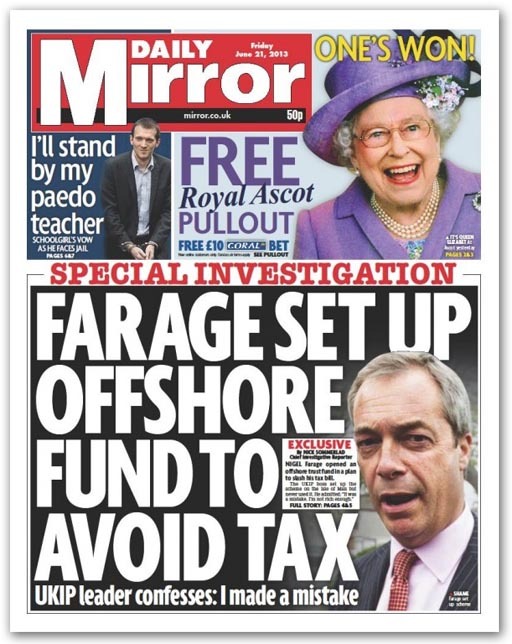 Shamed UKIP leader Nigel Farage faced outrage yesterday after his offshore tax wheeze was exposed by the Mirror. Mr Farage opened a trust fund in the Isle of Man in a plan to slash his tax bill, our investigation revealed. The explosive revelations have robbed the rabble-rousing MEP of his “man of the people” image, MPs said – finally “bursting his bubble” after years of soaring popularity in the polls. His offshore fund was exposed just hours after the party suffered a humiliating by-election wipeout in Scotland, piling fresh misery on the UKIP leader. Labour MP John Spellar said: “I know Nigel Farage wants to appeal to disaffected Tories, but copying some of the Tories’ biggest donors by setting up offshore trusts to avoid tax is taking things too far. Fellow MP John Mann added: “This is a man who says he’s more English than the rest of us, when in fact he has been taking money off the EU while setting up an off-shore trust. Even David Cameron was dragged into the scandal – fending off questions over his Cabinet Minister’s tax affairs. Mr Farage told the Mirror he did not benefit from the Farage Family Educational Trust 1654. Companies House documents indicated that the fund was a shareholder in Farage Ltd – a financial firm owned by his brother Andrew in which the UKIP leader also once had a stake – until 2011. The MEP insists he never received any dividends from the firm, which had been paid solely to his brother, and had transferred his shareholding in the company to the trust fund. Farage Limited’s accountant Spencer Watson told the Mirror that all £969,000 in dividends were paid to Andrew. Mr Farage said: “My financial advisers recommended I did it, to have a trust really for inheritance purposes and I took the advice and I set it up. “It was a mistake. I was a completely unsuitable person for it. I am not blaming them it was my fault. “It’s a vehicle that you chuck things in through your life that you don’t need and you build up a trust fund for your children or grandchildren. “It was called an educational trust and could have been used for grandchildren’s schools fees, things like that. “It was a mistake for three reasons. Firstly, I’m not rich enough to need one and I am never going to be. “Secondly, frankly, the world has changed. Things that we thought were absolutely fair practice 10 years, 20 years ago, 30 years ago aren’t any more. Mr Farage last night claimed he “felt uncomfortable” about the fund but insisted he did not avoid tax. He told the BBC he wanted to cut his family’s inheritance tax bills but realised he had made an “error”. And he admitted such funds were no longer appropriate for politicians. He added: “I don’t think you can be in public life and have a family trust. February 2003 Farage, his brother Andrew Farage and a third director set up commodity trading firm Farage Limited. August 2003 A document filed at Companies House stated that Nigel Farage owned no shares in Farage Limited and the Farage Family Educational Trust 1654 owned 33 shares. May 2004 Another document filed at Companies House stated that Nigel Farage owned 33 shares in Farage Limited and the Farage Family Educational Trust owned none. October 2004 Farage was appointed company secretary of Farage Limited. February 2006 Farage resigned as director of Farage Limited but remained as company secretary. September 2006 Nigel Farage became leader of UKIP. November 2009 Nigel Farage stood down as UKIP leader. November 2010 Farage was re-elected leader of UKIP. 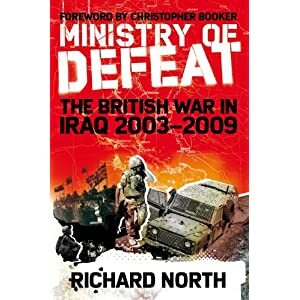 May 2010 Farage failed to win a seat at Westminster in the general election. February 2011 Nigel Farage resigned as company secretary of Farage Limited. 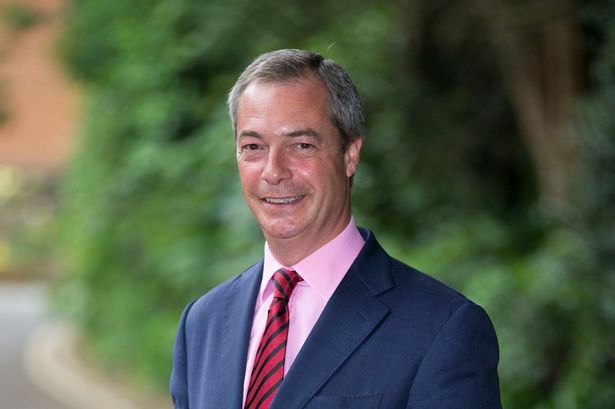 March 2011 HM Revenue & Customs filed a petition at the High Court to wind up Farage Limited. July 2011 Farage Limited went into a “voluntary arrangement” to pay off its debts by 2017. Old News BUT A Fresh Merdia Story on Farage & Tax! regular readers of this blog will be aware that we drew attention to the scam of Isle of Man bank accounts to avoid British taxes being exploited by Nigel Farage several years ago. Farage was of little interest then but now with a very slack nes period the media are USING Farage and the4 cult he has created as a goad to other parties of relevance, to embarrass them and create stories.The media has had this story for an age but have never bothered with it as Farage is of little significance having destroyed the credibility of U*KIP imn the long term by running it as a cult – even to the extent of now managing self adulatory vi9llage hall meetings on a Dave alien basis with a bottle of wine and quofing it during his performance which is all about him and further undermines the cr4edibility of UKIP.UKIP has absolutely no one of gravitas or consequence and is anchored by a self publicist6 spiv – one strong wind and the entire organisation will risk being blown off course and drift inevitably onto the rocks to break up in internal squabbles of the mediochre as they try to take over the party. UKIP hasn’t a single solitary individual of gr5avitas or consequence who could take over from Farage to lead HIS cult nor anyone who is of any value who couild even support him. As I have said for a number of years UKIP has the benefit of riding a natural wave that i8s both popular and populist – the tune is excellent, the performing monkey on top of the organ is clever, charming and attracts the crowds, who like such dumbed down entertainment, but there is no organ grinder and thus the entire performance lacks leadership and vision, strategy or tactics and is constantly pilfered for bits by its own team – effectively the monkey dances well but for lack of an organ grimnder the very organ itself is increasingly being shown to lack all sorts of vital parts. It is clear that with the rise in light weight populism and the cult of the celeb all UKIP has going for it is an increasingly ill informed and fickle claque parasitically feeding off the nuts the monkey drops. 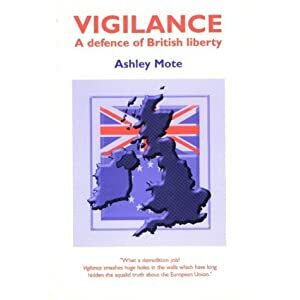 Now that the numbers are increasing it is clear talking to the professional sephologists and more consequential journalists that UKIP may well have collapsed by the General Election, collapsed into the morass of impropriety, profligacy and petty scandals! An amusing thought, though sad if one is a true EUroRealist patriot and remotely aware of the facts and the methods required to Leave-The-EU, we saw Robert Kilroy – Silk who having lost his career as an entertainer and commentator on TV swallowed the bait of Farage’s promise that he could become leader of UKIP (not in Farage’s gift at the time!). Now we see Farage desperately maneuvering to make the transfer the other way to become a full time entertainer! The one success Kilroy – Silk had that seems likely to elude Farage in the long run is that Kilroy – Silk was an MP before he made his name as an entertaining chat show host! Beware Farage: ‘The higher up the tree the monkey climbs the more you see its rs’! Nigel Farage opened an offshore trust fund in a plan to slash his tax bill, a Mirror investigation has revealed. But he insisted he did not personally benefit from the trust fund he set up in a bid to save thousands of pounds in tax. And the UKIP leader even claimed he ended up out of pocket after opening the scheme on the Isle of Man. The 49-year-old paid a tax adviser to create the Farage Family Educational Trust 1654 in the tax haven – which he intended to channel funds through. The outspoken anti-Europe politician confessed its existence during a string of meetings with our investigators. But the former City trader said: “My financial advisers recommended I did it, to have a trust really for inheritance purposes and I took the advice and I set it up. “It was called an ­educational trust and could have been used for grandchildren’s schools fees, things like that. Farage’s statements are even more extraordinary as he criticised offshore tax havens – naming the Isle of Man – in a speech in the European Parliament. Tax expert Richard Murphy, who studied our dossier, said: “There are only two good reasons to set up an Isle of Man trust. “One is secrecy, you don’t want someone to know what is in there. The other is tax avoidance. Tax dodging costs Britain £35billion a year, according to HM Revenue and Customs, but Tax Research experts say it is as much as £123billion. David Cameron backed a landmark deal at the G8 summit this week to crack down on corporate tax evasion. 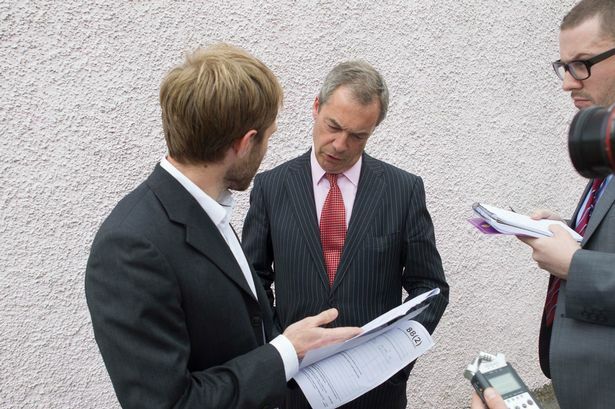 The Mirror confronted Farage with financial documents as he campaigned for UKIP in Aberdeen. These revealed he transferred his ­shareholding in Farage Limited after it was founded in 2003 to the Farage Family Educational Trust, based in Douglas, capital of the Isle of Man. This meant the trust owned a 33% stake in Farage Limited, later rising to 50%. When we showed him a copy of Farage Limited accounts from 2004 indicating he owned shares in the city trading firm, he declared: “They are wrong then, aren’t they? His brother Andrew, a co-director who owned the other 50% of the company, ­pocketed £969,000 in dividends from the firm. And pushed on who received the £969,000, he said: “It’s a slightly unfair question because you are asking me to implicate someone else’s tax affairs in the Daily Mirror. “It’s sensitive and the sums of money are quite big. You’re talking about nearly a million quid. “The accountant who set up the company is prepared to speak to you. Farage Limited’s accountant Spencer Watson later confirmed that all £969,000 in dividends were paid to Andrew. When we contacted Farage’s 47-year-old brother, he said: “I don’t want to make any comment. If I did, I did. “If that’s what I earned that’s what I earned. All my money was paid and tax was paid on it in this country. But on his Declaration of Members’ Financial Interests for the European ­Parliament dated January 2004, he stated that he was paid for being a director of Farage Limited. He was also company secretary of the firm. In every annual declaration from 2004 to 2009, Farage stated he was paid for “commodity broking”. Farage Limited was his only company appointment posted at Companies House. He later gave the Mirror a longer ­interview at the Kent home he shares with German-born wife Kirsten. After inviting us into his kitchen, Farage was asked why he told EU ­officials he was paid for “commodity broking”, as he had said to our reporter he gave up business in 2004. He said he was unpaid as secretary and it was “an act of brotherly love”. Companies House documents show the offshore trust remained a shareholder in Farage Limited until 2011. The right-winger insisted it shut down in 2007 or 2008. Accountant Mr Watson said he was not involved in setting up the Isle of Man trust for Farage. He revealed Farage Limited lost a major client in 2011 and owed unpaid corporation tax. Six weeks after the Eurosceptic resigned as company secretary in 2011, HMRC filed a petition to wind up the company. Farage Limited went into a “voluntary arrangement” in 2011, one step short of going into administration. Its debts of more than £100,000 are due to be paid off by 2017. Reporting team: Nick Sommerlad, Andy Rossington, David Collins, Ben Rossington. Outspoken Nigel Farage last month told fellow members of the European Parliament they had a “common enemy – rich people, successful companies evading tax”. The UKIP leader was elected as an MEP in 1999, earning £64,000 a year but he has boasted about claiming £2million in allowances. Speaking on May 21 this year, he attacked European bureaucrats earning £100,000 a year who pay 12% tax under EU rules. Farage said: “It is tax fraud on an absolutely massive scale. How can that be deemed to be fair? Farage has also called for tax cuts for the rich to tackle tax avoidance. He said: “The biggest reason tax havens are allowed to prosper is we’ve this mindset we must try and get as much tax out of successful individuals as we possible can. Tax and secrecy are the biggest industries on the Isle of Man, employing around a quarter of the island’s 86,000 population. But the Manx government is coming under new pressure to uncover its financial dealings. There is no inheritance tax on the island and most companies pay no corporation tax. Income tax is 20% or lower for individuals and is capped at £120,000 tax a year. This low-tax culture has created a finance industry generating 40% of the island’s economy, where the average wage is 50% higher than the rest of the UK. But tax campaigners, such as UK Uncut, have shifted attention to the murky side of island life, helping criminals and tax dodgers hide cash. A crackdown on tax evasion using the Isle of Man, Jersey and Guernsey is expected to raise £1billion in five years, says HM Revenue & Customs. Could UKIP’s apparent success prove catastrophic? Dominique VENNER – An Ultimate Act of Patriotism by a Frenchman to awaken the peoples of France to the evils of The EU! Clearly we are not alone in our repudiation of the vile nature of the undemocratic and iresponsible experiment in social engineering and greed that is The EU! Hi,I give you a simple guest post by Varg Vikernes, in memory of Dominique Venner whose antipathy, nay even loathing, of the institution of the undemocratic EU led to his ultimate gesture/act of courage or cowardice to draw attention to just how vile the EU is as a concept. Clearly those of us who share Dominique Venner’s loathing of the harm being done to his country act in our different ways to eradicate this great evil which dominates every aspect of our lives largely against our will and indubitably without either democratic input or democratic output of any meaningful sense whilst both the EU, US & Britain are all too willing to use our troops as mercenaries in the odious and morally unjustifiable willingness to shoot, maim, orphan, widow and destroy the lives of others to force democracy and ethics on them – Democracy and ethics most clearly denied to the citizens of the various vassal states of the EU! I would not advocate Dominique Venner’s solution to the problem to anyone however I can most definitely empathise with his feelings and admire his commitment – misguided as I may feel it to have been. A great Pagan Frenchman and European, Dominique Venner, comitted suicide in Notre Dame in Paris today, to wake up his sleeping countrymen to the dangers Europe is facing in relation to so-called “multi-culturalism” and nihilism. I also encourage everyone to read the posts on his blog. Mr. Venner did what he felt was the best for Europe. I hope his self-sacrifice will inspire other Europeans to act too, although I will not encourage anyone to do it in a similar fashion. His name will be remembered and he will return to continue his fight for Europe, in another life. Hail Dominique Venner! A big thanks to Arcturus for giving me the link to his final letter. « I am healthy in body and mind, and I am filled with love for my wife and children. I love life and expect nothing beyond other than the perpetuation of my race and my mind. However, in the evening of this life, in front of huge dangers for my French and European country, I feel the duty to act as long as I have strength. I think I need to sacrifice myself to break the lethargy that overwhelms us. I offer the rest of my life with the intention of protest and foundation. I chose a highly symbolic place, Notre Dame de Paris that I respect and admire, because it was built by the genius of my ancestors in places of earlier worship, which are recalling our immemorial origins. While so many people are slaves of their lives, my gesture embodies an ethical will. I give death to myself in order to awaken the slumbering consciences. I protest against fate. I protest against the poisons the soul and against the individual invasive desires that are destroying our identity and anchors, including family, the intimate foundation of our millenary civilization. While I defend the identity of all peoples in their respective homes, I also protest against the crime of replacing of our people. 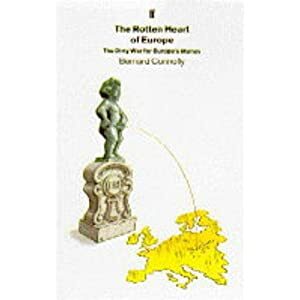 Since the dominant voice can not get out of these toxic ambiguities, it is the Europeans who must draw conclusions. We do not have now a religious identity that tie us, but we share from Homer a own memory, repository of all the values ​​on which we can rebuild our future rebirth out from the thought of the unlimited, source of all negative modern excesses. I apologize in advance to all those who will suffer from my death, and first to my wife, my children and grandchildren, as well as my friends and followers. But once the shock of pain will be faded, I do not doubt that the one and the other will understand the meaning of my gesture and transcend their sorrow to pride. I hope those will work together to last. They will find in my recent writings the foreshadowing and the explanation of my gesture. So The EU wants more British VAT to fund their scam! Alex Wood of UKIP cleared by Police of Nazi Salute. 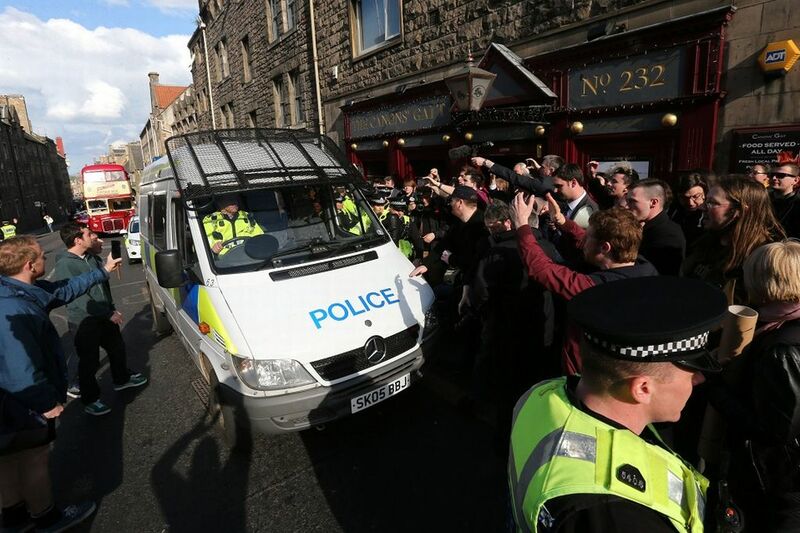 Local Government candidate Alex Wood of UKIP cleared by Police of Nazi Salute! Clearly The Mirror was duped and due to shoddy journalism published a story they were unable to verify based on faked evidence – most probably photoshopped by a rival and costing Alex Wood his seat! I am pleased to say that I was not inclined to make ‘much’ of the story oof Alex Wood the UKIP Council candidate when he featured on the front page of the Mirror CLICK HERE in real terms what young lad of his age has not at some time made a fool of himself on the internet and it seemed more like stupidity than hate based racism, which is all too prevalent amongst UKIP’s leadership and their chosen allies!!! One only needs to study their racist partners in their EFD Group ion the EU which Nigel Farage founded and leads! OR consider the incitement to racial hatred apparent in the vile literature published by Gerard Batten based on his personal fears and superstitions relative to Islam! That many in UKIP are closely associated with the shameful hatred and behaviour of the EDL puts the antics of Alex Wood in the shade were they true! The Huffington Post UK | By Christopher York Posted: 13/06/2013 13:57 BST | Updated: 13/06/2013 20:18 BSTThe Ukip candidate embroiled in a racism row after allegedly making a Nazi salute and saying Africans live in “mud huts” was the victim of a “smear campaign”. Police are satisfied that comments originally attributed to Alex Wood, 22, had never appeared on his Facebook account and may have been photoshopped. 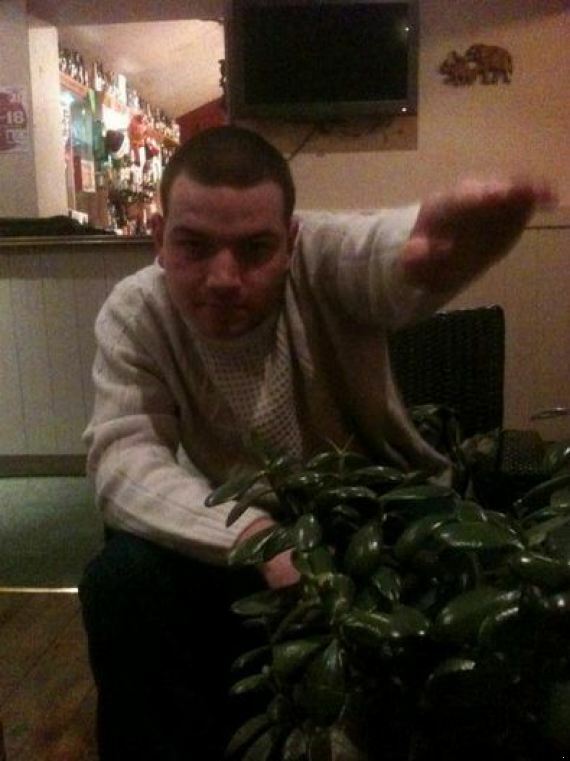 Wood always maintained the picture of him appearing to make a Nazi salute was actually him “imitating a pot plant“. Pot PlantAndrew Bishop from Yeovil Police Station told the Huffington Post UK: “In April we were contacted by Mr Wood reporting that his Facebook account had been hacked and racist comments posted which purported to be from him. “This was investigated as possible malicious communications. We have now completed our enquiries and concluded that the account was not hacked and the comments did not appear on the account. Woods has said he will investigate how someone could have created comments that appeared to have come from his account. He told the Western Gazette: “I’ve investigated the websites and there are many methods someone could use to create comments on a duplicate account. “It is a slick and professional operation. I will be looking into this to clear my name. Wood stood in the Somerset county council ballot winning 665 votes and coming second. Let us hope that Nigel Farage has the ethical integrity to back Alex Wood in a claim against The Mirror for its shoddy journalism and the false story. I am all too well aware of the damage tyhat can be done by liars, cheats and the corrupt in their efforts to defame – fortunately I have never cared nor have I been dependent on others for my income thus the liars and low lifes in UKIP who have desperately tried to defame me with their cowardly efforts as they shelter behind anonymity have failed.I have been able and willing to continue to publish the facts and the truth about UKIP’s leadership and clarify why it is so clearly unfit for purpose and without strategy, tactics or even an exit and survival strategy as it corruptly acts in self interest. UKIP Exposed – What Goes Around, Comes Around! David Bannerman Left-Out in The Cold with no job! He could almost have counted on being re-elected as a UKIP MEP but is clearly reveiled by Tory voters despite his promises to deliver the dirt on UKIP and desperately trying to ingratiate himself with Tory Branch Chairmen! One of the region’s MEPs faces an uncertain future after failing to win the backing of party bosses. David Campbell Bannerman, who defected to the Conservatives from UKIP in 2011, must go through a ballot of all Tory members if he is to be selected as a candidate for next year’s European elections because he did not win the support of 60 per cent of constituency chairmen. Richard Howitt, a Labour MEP for the Eastern region, claimed the Conservatives were “tearing each other apart”. He said: “This shows the Tories at war with UKIP in the East of England, sticking the knife in to someone they’d so recently welcomed with open arms, despite the fact most of them agree with every word he says. Mr Campbell Bannerman, a Cambridge resident who is a former deputy leader of UKIP, said he was confident he would get back on the ballot paper. He said: “It’s not about sticking knives in, it’s about democracy and I welcome the choice of the membership. 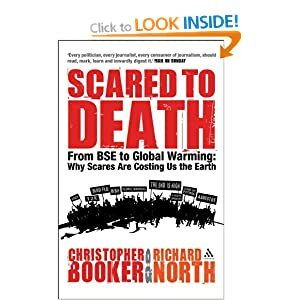 The other two Conservative MEPs seeking re-election next year, Vicky Ford and Geoffrey Van Orden, both won the backing of party bosses – although Mr Howitt claimed Mr Van Orden had scraped through by a single vote. The fourth Conservative MEP, Robert Sturdy, is retiring. 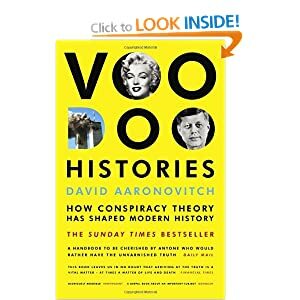 The better informed readers will remember that when David Bannerman first set out to reinvent himself as a member of UKIP, having failed ever to get elected within the Tory Party, I not only cautioned against accepting his duplicity as a turncoat but also exposed the fact that both his CV and even his claims relative to ancestry were a pack of lies. However the inept and unprofessional leadership of UKIP with no meaningful ability to vet candidates were impressed by the fraudulent credentials he put forward! I well remember his parents relief though at that stage hope, that David might get himself a proper job after years of drifting around the periphery of the Tory Party. In real terms not only was David Bannerman a fraud it transpired that he was also embroilled in fraudulent abuse of the public purse and is still under investigation by OLAF as a result of Daniel Foggo’s exposure of misuse of public funds, in The Sunday Times as explained on camera by Stuart Agnew who is also still under investigation for abuse of the public purse and for his part in electoral fraud and money laundering in cahoots with UKIP’s dodgey Peer Malcolm Pearson and his private company which he uses for money laundering to cheat the system! As admitted to on camera and published in the same article! You may also be interested to note the other Tory turncoat the odious and untrustworthy Niel Hamilton who brought shame on British House of Commons with his sleaze and cash for questions, which in part brought down the Major Government and gave rise to the 13 unlucky years of economic illiteracy of Labour’s dishonest and profligate incompetence! 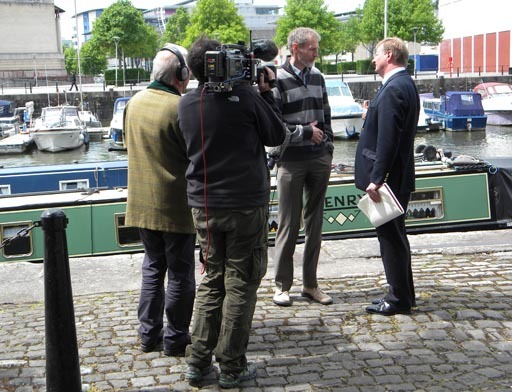 Hamilton featured on Panorama at the time and again in the last week in the hour long documentary by Daniel Foggo which exposed Patrick Mercer MP’s willingness to accept bribes in the form of cash for questions – another very competent exposure by Daniel Foggo, which can be seen on iPod CLICK HERE. The Facts Were Published Here Ages Ago – Tell The Independent! Theft, Racism & other UKIP behaviour causes resignations! Chris Pain resigns but lingers on but Peter Georgiou understands his position and quits! it is interesting to note that UKIP Councillor Peter Georgiou, Norfolk County Councillor for Thetford West, is resigning having been found to have been caught stealing from a shop yet the UKIP Councillor for Lydney in Gloucestershire considers it appropriate to remain in office having similarly having been reported to have stolen from a shop! On the other hand Chris Pain does not believe he is fit to act as chairman of his local EU Regional UKIP committee yet believes it appropriate to stay in his paid role as the elected representative on the council, which I find strange, in the light of the allegations of racism that seem of some substance and have been dealt with in some detail already on this blog. Further we are given to understand that despite his strange behaviour on public Forums and other allegations against him in the public domain, by UKIP members, he believes it is not only acceptable to remain on UKIP NEC but also expects Nigel Farage to nominate/select him as a potential MEP candidate on the lists he will personally draw up in cahoots with his direct cronies! 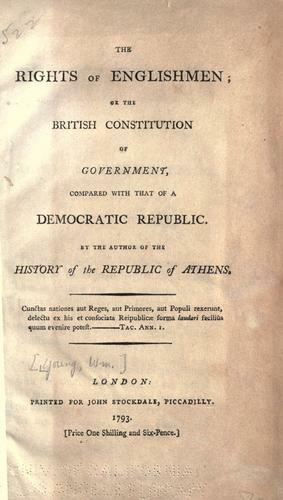 In accord with the centralised and authoritarian powers of UKIP – a far from democratic or libertarian construct! Little winder that UKIP support amongst the electorate has collapsed by 1/3rd. from its far from consequential recent high when of over 1,700 candidates fielded they achieved a far from impressive failure with only 147 elected – several of whom have, like Peter Georgiou have already quit for theft , racism or inappropriate behaviour! That Neil Hamilton, who recently featured for his sleaze and dishonesty on Panorama is a leading candidate for a UKIP MEP seat and sits on UKIP NEC there is every reason to have expected some fall back in popularity as the facts became more widespread about UKIP’s clear inappropriate behaviour and also their support and involvement in racism and anti homosexuality with its EU partners in The Pan EU EFD Political Group which includes extremists of the most revolting nature! As I have often pointed out: ‘The higher up the tree the monkey climbs the more you see its Rs’ . The more UKIP achieves the more it will meet with scruting and the more people will realise it has little or no role or relavance in domestic politics! The UKIP councillor embroiled in racism allegations has countered claims his party had barred him from standing as an MEP. However, Coun Pain insists the sanctions imposed on him by UKIP are merely a formality while he clears his name and says he has submitted an application to stand as an MEP. “It’s a mystery where this came from,” Coun Pain said. The party said last week that it was suspending judgement about Coun Pain’s future with the party pending the results of a police investigation. It has refused to comment on his ability to stand as an MEP or other sanctions supposedly brought against him. Coun Pain was alleged to have made racist Facebook posts referring to immigrants as ‘bomb-making, camel-riding, goat-******* ragheads’ among other offensive terms. He has vehemently denied the allegations, claiming his account was hacked in a malicious attack on him and his party. However, Coun Pain has stood down from his role as the party’s East Midlands chairman pending the outcome of an investigation into the claims. Coun Pain says he has not yet been contacted by the police in respect to the allegations. He fears the latest rumours were part of another attack against him. For the record – despite the obfuscation, dissembling and outright lies of those trying to hide the truth about UKIP as it is – It is of absolutely no consequence how many read this blog or this web site or my Twitter or my postings around the internet and elsewhere, just like UKIP membership numbers are of no consequence just as it is irrelevant how many watch a UKIP video in America, China or even France – it is a matter of the caliber of those who read the entries NOT numbers. From my conversations with Team Junius I gather their aims were largely similar, as was their aim to inform and provide an archive of facts in support of UKIP becoming fit for purpose to lead to Leave-The-EU, which clearly it currently is not, as it tends to represent its own personal ambitions rather than British self determination, values and ethics. Team Junius, I am told, possibly re-enter the position of political commentary if the situation alters and UKIP becomes of greater relevance in UK domestic policy rather than self serving also rans! So The EU wants to Tax us with more British VAT to fund their scam! And clearly UKIP has failed in its duty for lack of education & training!! there have even been claims that David Cameron has so much lost the trust of his party and the electorate that his New World Order masters have summoned him to a secretive meeting of The Bilderbergers at of all places, embarrassingly, Watford!It is unclear amongst the rumour mongers whether this is to receive a dressing down for his bungling of the EU Referendum issue or to receive new orders on how to ensure he continues the sell out of Britain to the forces of evil! MEDDLING EU chiefs are demanding crippling VAT hikes on everyday goods. They threaten to send energy bills soaring with a FOUR-FOLD rise in tax on gas, electricity and heating oil. The cost of all reduced or zero-rated goods — including water supplies, kids’ clothes and even funerals — could rocket under plans to end VAT-free sales. Eurocrats want us to impose a single rate on all goods to wipe £3billion off national debt. The move comes just two years after Brussels arm-twisted ministers into raising the standard rate to 20p in the pound. The European Commission’s recommendation of the UK’s national reform programme demands action to guarantee work or training for youngsters, more childcare and better transport. 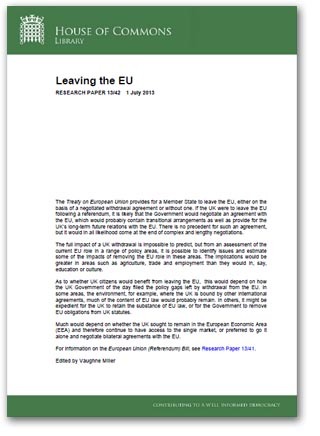 West Midlands MEP Nikki Sinclaire has tabled a formal question to the Commission demanding an explanation. But David Cameron will be under pressure to back the plan at a European Council meeting in Brussels later this month. Last night Chancellor George Osborne was said to be furious and has told aides there is “no chance” he will let it happen. Sadly there is no sign of comment or contribution from UKIP on this issue, but then again the media only USE UKIP as a foil to the Government to provoke stories and as George Osborn spoke out against the EU aims and interfernce to support the EUro! Britain will clearly be better off when we Leave-The-EU. igel Farage may be no fan of Brussels, but he is less Eurosceptic about the EU stronghold’s food. 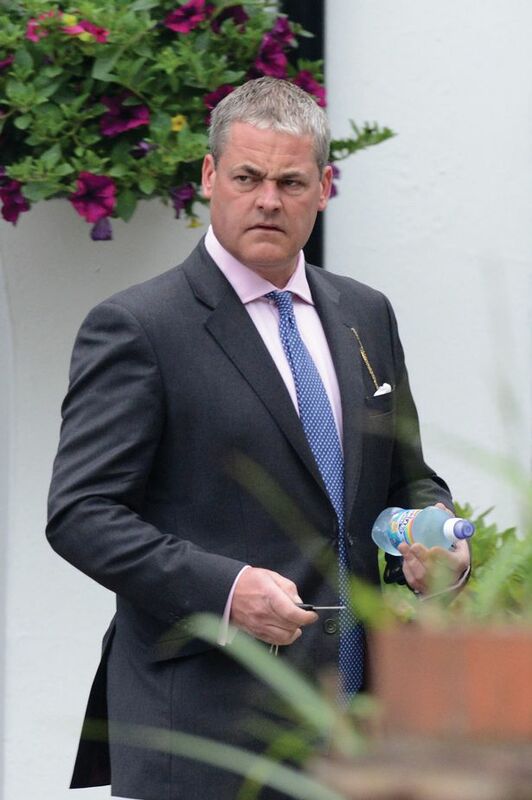 The UKIP leader was a guest at biotech investor Jim Mellon’s recent birthday lunch at the Brussels brasserie La Taverne du Passage, alongside Richard Reed, the millionaire founder of Innocent Drinks, and Denham Eke, the managing director of Mellon’s Burnbrae investment vehicle. Farage befriended the gang through Mellon’s brother-in-law, the wealth manager Tim Price although there is one snag. As a resident of the Isle of Man, Mellon is unable to donate to Farage’s party, so is looking to contribute to UKIP’s cause “in other ways”. Treating Farage to a slap-up Belgian lunch in an eatery known for its “superb” wine list seems a good start. Even the speciality sausage dish is “AAAAA grillée”. That said, it is clear that UKIP MEPs are, it seems, in it for their own end, so to speak. Talking of ends perhaps it is worth noting that the end seems to have come for Mike Nattrass and any chance or re-election as an MEP, but he is no longer desperate for the money it seems, as he has seemingly no longer has a need to fund an expensive divorce to continue to live with his mistress and fund his lifestyle and villa in Portugal – it seems his long suffering wife has taken him back, no doubt chalking up her claims for security and belittling his stupidity, if in private, on the grounds of ‘there is no greater fool than an old fool’! Clearly Mike Nattrass’s income as a UKIP MEP, all be it for a short time acting with integrity outside of the vile EFD Group of racists and anti homosexual extremists, must have worked wonders in the eyes of his mistress! 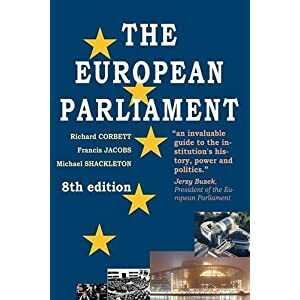 May I suggest to UKIP MEPs who do not wish to have their private lives discussed then it is unwise to live as parasites on the public purse funded by EU bribes! Clearly his position as lead candidate for UKIP in the EU’s West Midlands Region is severely challenged not just by Farage’s likely parachuting in of an outside candidate less problematic and with some intelligence, all be it a sycophantic drinking buddy, is more than likely and he has alrteady earmarked John Gaunt and at least one other as more likely to top the list and that still leaves Jill Seymore’s ambitions to satiate, though Farage has only ever ‘used’ her as something of a dupe for her money! An even greater reason that Mike Nattrass is unlikely to fall out of the running order is that Joyce Nattrass, his long suffering wife, has made it very clear that she wants her husband to retire – whether to avoid making a fool of himself in the fleshpots of Brussels and Strasbourg or for exclusive use of the villa in Portugal is hardly of consequence to the rest of us! I must say I was impressed by the consumate competence of Nigel Farage’s handling of the Labour Party louts at Hove recently as they sheltered behind their so called UAF (United Against Fascism), Anti Fascist League in a display of Fascist denial of freedom of speech and outright yobbery supported by various prominent Labour MPs, MEPs and backers under the chairmanship of the odious Ken Livingstone! Whilst on the subject of Farage’s abilities surely no one would claim he was anything but competent as a speaker having used UKIP to speak at over 1,000 public meetings and been virtually the only approved media spokesman for the party consistently over some 15 years! Farage’s pitch at his Frimley meeting was another competent, if very stereotype, presentation and there is no doubt audience figures are rising but without a massive leap forward this still places UKIP as also rans in dometic politics, however you may wish to egg the cake! The spin of how well they did in the recent local; elections is clearly only spin and by cleverly selected facts can be made to look like a brieakthrough to the simpler minded thinkers. However lets face the facts UKIP stood over 1,700 candidates and less than 150 were elected and from amongst this meager number several have already resigned over various issues from racism to stealing from shops! Having seen what fools many make of themselves on what is EUphemistically called ‘Social Media’ but surely should be more readily called ‘Anti Social Media’ as many in UKIP are so ashamed of their own actions that they hide in cowardice behind anonymity to distort and lie for their own gain – none more so than the creepy crowd of anonymous stalkers on the UKIP controlled Forum of Anthony Butcher! That said – there is no doubt that as UKIP’s spokesman and visibly only competent public speaker Nigel Farage has developed his style over the last 20 years and with 14 years ridibg high on the hog from the public purse – though as a leader he still quite clearly has no strategy, no tactics and no real vision for the future much beyond ‘ambition’. To pretend one leads a party when one does not even have a clear ‘Exit & Survival Strategy’ and have absolutely no meaningful training schedule and the party has no structural organogram or ladder to work is to misrepresent the term leadership! That the entire party is clearly dependent on one man is indisputable, and that he has consistently fallen out with 1/3rd of his elected fellows and hand picks all the staff himself shows just how vulnerable the party is and how obviously unfit for purpose they are! It is unfair to claim that UKIP is a One-Man-Band but it does make clear their plight, in that there is only one figure of any authority or consequence, a position he controls by turning a blind eye to the odious behaviour of many of his staff and so called supporters! The lies and distortions, abuse and cyber bullying needed to keep Farage in power indicates just how unpleasant Britain would be if UKIP ever gained any meaningful authority in Britain and we all know that acting the fool in EUrope seems the only real role UKIP has. Sadly in 20 years UKIP has abjectly failed to educate themselves, let alone educate the public as to the benefits of Leaving -The-EU for Britain and as a result, as the torch bearer for the more naive and less informed EUroSceptics UKIP has failed our Country and by jumping, belatedly, on the EU Referendum band wagon without having educated the public they would seem, despite riding on a natural wave of resentment, to be likely to doom Britain to a further generation of ensnarement in The EU which will eventually lead to liberation, not from UKIP’s inept actions but as a result of the impending disaster of the EU’s own collapse! The Facts, that Patrick O’Flynn was seemingly bought and paid for and thus The Express coverage of UKIP was wholly unreliable, Were Published Here Ages Ago – Do Tell The Independent, who seem to be playing catch up through their own blogger! those of you who are regular readers of this blog in the media will realise that this blog published the facts regarding Patrick O’Flynn’s personal interests in becoming an MEP several weeks ago. This probably explained, as noted at the time, why The Express, for whom he claims to be a political editor, carried totally biased articles believed to be published in exchange for a leading position as a candidate for the lucrative opportunities of candidacy as an MEP! The Independent has finally had the courage to report this, watering down the duplicity of his ‘reportage’ in The Express in return for a chance of a seat on the EU gravy train and the opportunities of wealth that go with it that far outstrip the income of a leading journalist! Even now The Independent did not choose to actually report the facts posted long ago on this blog but chose to let them leak out via one of their blog contributors! I found this interesting, possibly because I know Patrick O’Flynn, chief political commentator for the Daily Express, and like him. He has joined UKIP and hopes to stand for the European Parliament in next year’s elections. Here is the video of his speech this morning to the party’s South East region, introduced by Nigel Farage (O’Flynn starts at 26 minutes in). 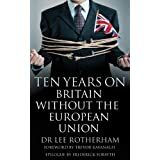 But I think it is interesting anyway as an insight into UKIP and the way its members think. O’Flynn talks about the referendum on our EU membership, which he thinks will happen, but he recognises that it is a huge challenge for those who want Britain to leave. Then he likens UKIP’s quest to that of Tolkien’s Fellowship of the Ring. He compares Herman Van Rompuy to Gollum and says UKIP’s cause is just as “noble” as that of Frodo and Gandalf. This is “not about Little England, it’s about Great Britain”, he says. Or it’s about a fictional realm called Middle-earth. Clearly it is not, as I have reported previously, just cash that buys seats on UKIP’s prospective MEP lists, making a mockery of democracy and showing why the centralised authority of UKIP’s leader and his ability to juggle the lists to suit his personal interests shows just how unfit for public responsibility UKIP is and how unfit for purpose UKIP are to lead the fight to Leave-The-EU – they don’t even hold British values of fair play and yet again show just how odious are their practices should they ever gain any relevance in British politics! Is Patrick O’Flynn Bought & Paid For?